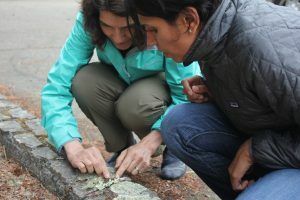 BEETLES (check out our About Us page for more information on BEETLES resources, design process, and more) helps outdoor science programs take full advantage of the rich opportunities for science learning in the outdoors. 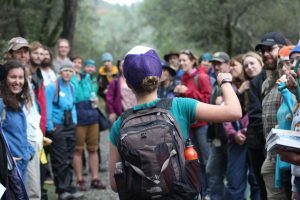 Learning science outdoors can be a unique, often transformational experience. Outdoor instructors need different tools and approaches than those designed for classrooms or other contexts. 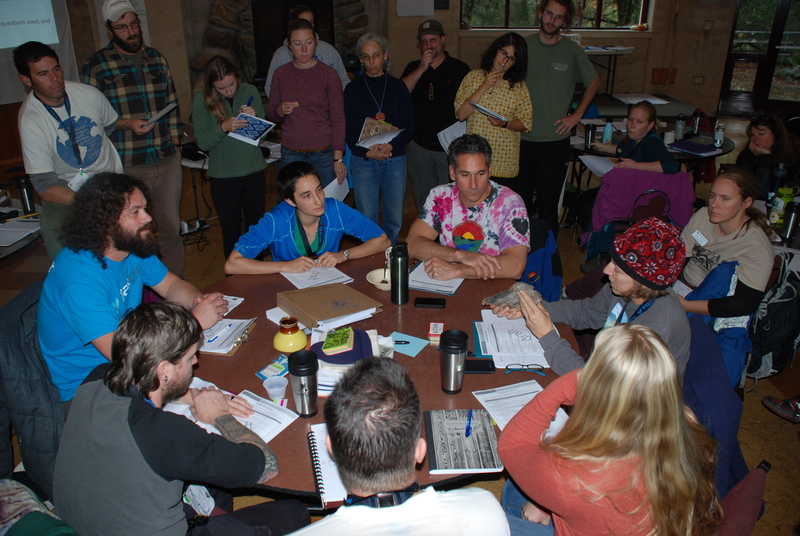 All our resources support the ambitious goals of the Next Generation Science Standards (NGSS) and are designed to help create more student-centered and nature-centered experiences. We’ve tested and implemented these resources with programs all over the U.S (and beyond!). Leadership Institutes build participants’ leadership expertise to incorporate effective practices into professional learning experiences for their staffs. We model a variety of resources for professional learning and student experiences, as well as provide opportunities for program leaders to share expertise and build their own capacity for program improvement. Throughout the week, we aim to inspire exploration, deep understanding, wonder, and critical thinking in program leaders. 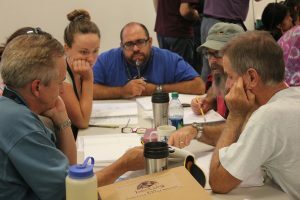 Institutes are open to 2 leaders (one person in a director/administrative role and one education director/lead instructor responsible for staff professional learning) from each of 20 selected programs across the country and internationally. We strongly encourage leaders from underrepresented groups and programs who serve underrepresented groups to apply. All free of charge, including a travel stipend. 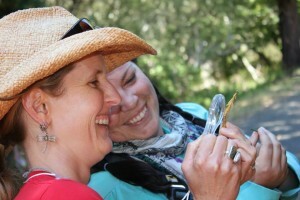 Join us for deep experiences, thought-provoking discussions, camaraderie and a beautiful California setting. Part 1 is an Implementation Study to examine the ways that program leaders incorporate BEETLES materials into their programs. 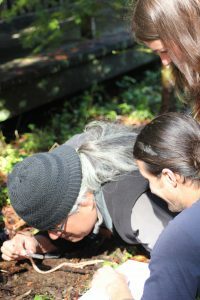 Every program accepted into a BEETLES Institute is encouraged to take part in this research through surveys of program leaders and education staff and, potentially, other research-related activities. The maximum research-related time commitment for program leaders is 6 hours over the course of a year and, for field instructors, 3 hours. All programs will be asked to participate in the Implementation Study. Part 2 is an Efficacy Study to examine the extent to which outdoor learning experiences impact science learning activation and environmental literacy among students. Starting in 2019, 50 participating programs will be randomly selected to participate. This study will require program leaders to administer student surveys before, during, and after a program to 25 total students. Our research team will coordinate these research related activities. The maximum research-related time commitment for students in this study is 1hr, 40 minutes. For field instructors, it is 30 minutes. The only requirement of program leaders in this study is to support coordinating data collection. The research team will reach out to participating leaders to further describe the research and what may be asked of you. P.S. BEETLES is delighted that we’ll have the opportunity to work with 100 programs over three years with funding from the National Science Foundation’s Advancing Informal Science Learning (NSF-AISL) program. NSF-AISL is funding Leadership Institutes in August & December 2017, August & December 2018, and August 2019, along with two associated research projects. Thank you for your interest in our August 2019 Leadership Institute. The deadline for submitting applications has passed and we will be in touch by the end of February with applicants about next steps.